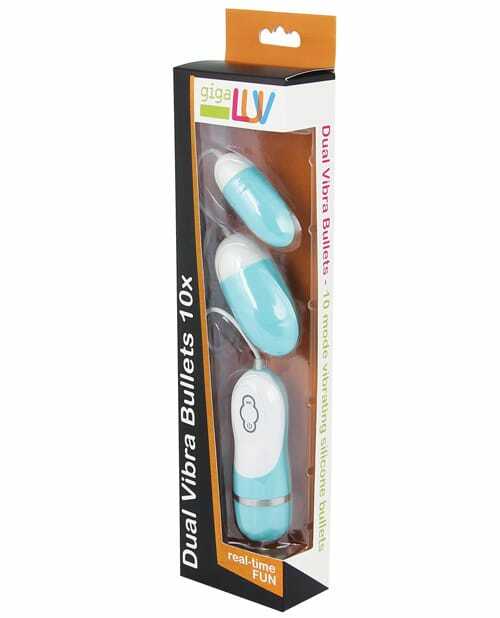 Gigaluv Dual Vibra Bullets Tiffany Blue are made from soft, premium silicone and feature 10 unique functions and speeds. Super powerful and amazingly stimulating. Extra long 36″ control cord.